The “War Correspondence” exhibition is organised by APAC(Romania) in partnership with SYRIA.ART in the framework of the BucharestArtWeek2017, and is curated by Humam Alsalim and Nona Șerbănescu. "There isn't an image or a book that can totally transmit the horrific feelings of war, but one can take a glimpse, a hint of a warlike reality. Hundreds of thousands are suffocating in silence within the borders of what's left of the country, and sometimes they scream." 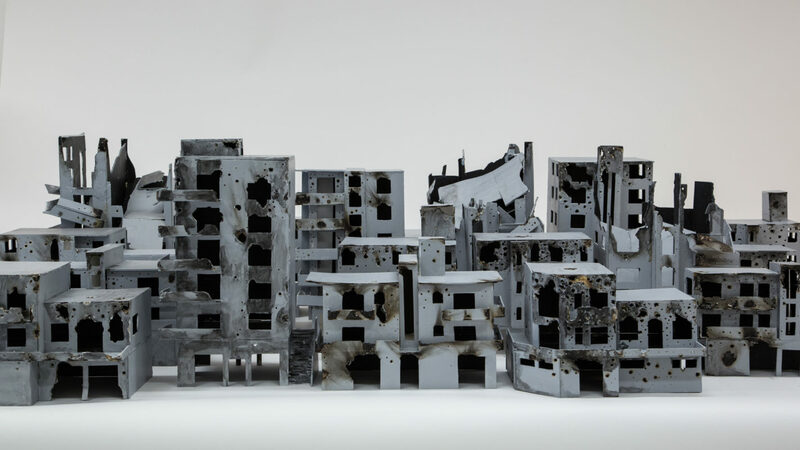 This year, Bucharest Art Week revolves around a deeply sensitive subject: the war in Syria and its consequences. The theme, “War correspondence”, arouse from a series of questions regarding the role of the artist and the meaning of contemporary art in the present context of war ravaging the Middle East and affecting the whole continent on political, administrative, social and cultural levels. The theme was suggested by Nona Serbanescu, the founder and director of the festival, an artist who is emotionally tied to Syria, through her heritage. This year’s edition will bring together various fields of artistic expression, like theatre, music and visual arts, with guest artists both Syrian and Romanian, for example Yaser Safi, Fadi Al-Hamwi, Khaled Youssef and Humam Alsalim who is the curator of the central exhibition of the week together with Nona Șerbănescu.